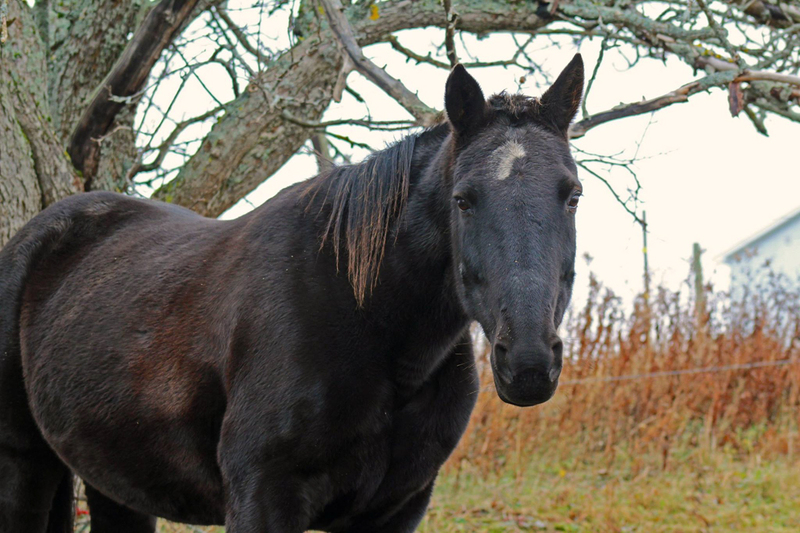 Obie is a Standardbred and has beautiful gaits. He competed in dressage, He was very unhappy about jumping. The did not even like the cavelleti’s He was born in West Prince and came to the Sanctuary when he was 8. He was born in 1998. Obie was entrusted to our care a long time ago by Natalie Aresenault. He can do everything, but does not like leaping. But in the past Katelyn did wonderful dressage tests with him. He is a mover. He is a wonderful Standie.